Beekman 1802 – Fabulous! | Faddegon's Nursery, Inc.
Mar 9, 2016 | What's New? What is Beekman 1802? Only the most fabulous bath line from the Fabulous Beekman Boys. 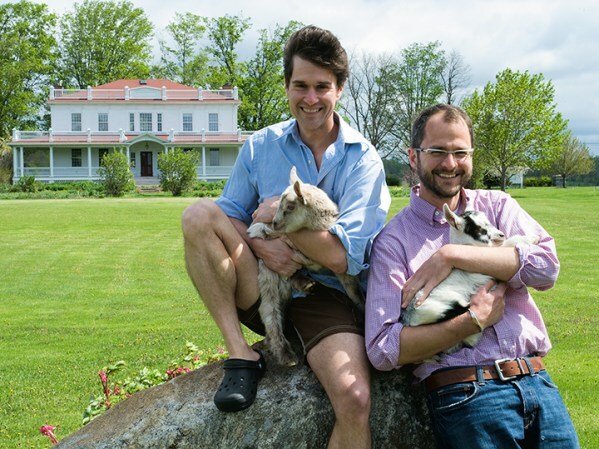 Who are the Fabulous Beekman Boys? If you don’t know who Josh Kilmer-Purcell and his partner Brent Ridge are, then you have a real treat coming your way! Short Answer: Two NYC guys who bought a farm and are sharing their experiment in living better lives, season by season, neighbor by neighbor. Long Answer: Beekman 1802 is a TV Show, Mercantile, bestselling cookbook and memoir, website and tourism destination all inspired by the Beekman 1802 Farm in Sharon Springs, NY. Google The Beekman Boys to find out more! Why do we love the Beekman Boys? For all kinds of reasons, but also because we’re so excited to finally carry their line of goat’s milk products lovingly produced right from their Sharon Springs, NY farm. Try some today!